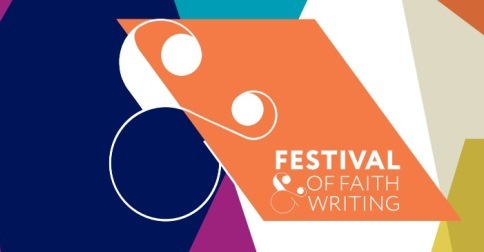 My colleague Jennifer Holberg got a head start on me last November by recommending some authors who will be featured at the Calvin Festival of Faith and Writing–now a mere ten weeks away! In case you are new to this glorious phenomenon, the Festival is a biennial celebration of books, authors, publishing, reading, and faith. Be careful if you run into any member of the Calvin English department in the next few weeks, because if you do, you will be subjected to enthusiastic jabbering and numerous book recommendations—whether you like it or not. The problem with the Festival is always this: how to choose? How to narrow down the overwhelming literary riches on offer and get started on some great reading? Well, you can browseour website. You can subscribe to our mailing list, Facebook page, Twitter feed, or whatever social media chatter you can manage. You can reread Jennifer’s post for the authors and titles she is swooning over (Zadie Smith, Patricia Raybon, Mary Ruefle, Tobias Wolfe, George Saunders, et al.). Or you can start right here with the following entirely idiosyncratic, not comprehensive, but still delectable list of eight recommended titles (in alphabetical order). I was skeptical about this novel at first, because it begins with Jonah Jacobstein, a young, successful lawyer in New York, doing young, successful, New Yorky lawyer things. Meh. But within a few dozen pages things get interesting. Jonah encounters a Hasidic man whose bizarre, prophetic words haunt Jonah and start him reluctantly down a new path. His life begins to fall apart and he tries to run, ending up in Amsterdam (Tarshish?) and eventually Las Vegas (Ninevah?). Jonah is not a religious person, but he finds himself confused, compelled, perhaps called. The Ninevites turn up in the form (roughly) of the character Judith, who is lost and seeking in her own way. More complicated than simply a modern retelling of the biblical book, this novel—Feldman’s debut—prompts thought-provoking resonances for those of us who know the original Jonah story. Are people called against their will? What is salvation? Who is worth saving? This beautifully constructed novel tells the story of Agnès Morel, an orphan raised by nuns in a small town in Northern France. Agnès’ misfortunes multiply until at last she finds shelter in the cathedral at Chartres and patches together a life there. The novel follows a double timeline, so that Agnès’s past and present unfold in parallel, creating for the reader the delightful experience of reading a mystery novel. A large cast of amusing, richly painted characters each attempt to make sense of the mysterious Agnes, some with compassion and others with petty malice. Meanwhile, the cathedral serves as gorgeous backdrop, metaphor, even a character in its own right, particularly as the presence of the Virgin presides over this tale of lost mothers, endangered babies, and the quest for safe haven. And how many novels out there present cleaning as a governing metaphor? Vickers, an English writer with a deep interest in art, literature, and psychoanalysis, writes with deep moral and psychological observation but also a light touch. Pastors, this one is highly recommended for its nuanced treatment of forgiveness and redemption. Also recommended for fans of the labyrinth, as Chartres has a famous one that becomes a persistent motif in the novel. Burton is a prolific travel writer, essayist, and member of an increasingly large cohort of people who could be described as “raised globally.” She is also working on her doctorate in theology at Oxford. I first came across her work through this essay she wrote for Salon, which begins as a reflection on the limitations faced by women travelers who have to look out for their own safety and develops into a lovely, philosophical reflection on the art of travel writing, observation, and human connecting across cultures. Also worth sampling is her essay on why everyone should study theology. I’ve already written about this book in a previous post, so I won’t say more here except to restate that everyone should read this clever, dystopian novel, one that appears on many high school English class reading lists. After reading it–which you could do in a mere afternoon–you will no longer be able to surf the web with equanimity. Anderson’s latest book, which I haven’t yet read, isSymphony for the City of the Dead: Dmitri Shostakovich and the Siege of Leningrad, so clearly we have an author here who dives right into the scary stuff. Another debut novel, and another resonant reflection on a biblical story, this time the Cain and Abel narrative. Set in Obioma’s native Nigeria in the 1990s, the tale is narrated by Benjamin, one of four brothers whose ordinary boyhood is interrupted by a chance encounter with the town’s crazy man. The man’s oracular pronouncements set in motion a series of disastrous events and tragic choices that shatter Benjamin’s family. Haunted, as so much Nigerian fiction is, by the foundational Nigerian novelThings Fall Apart, this story depicts modern Nigeria’s political, religious, and economic complexities through the pathos of a child’s innocent, bewildered point of view. If you could make a list of all the things one has to do to be a “cool Christian writer” these days, Nadia Bolz-Weber would hit everything on the list. In fact, I have made such a list; you can ask me about it sometime (samples: have a sordid past, discover liturgy, work with the homeless, etc.). Suffice to say, even though Bolz-Weber gets all the “cool” points, you shouldn’t hold that against her. She herself chalks up her current popularity—as a theologically orthodox Lutheran pastor with religious tattoos and a potty mouth—to “Zeitgeist-y issues,” and her church’s website politely asks potential visitors and gawkers to please help the church remain a “local congregation” and not a “destination church.” I read Pastrix with a group of devout, lovely retired folks, and although we are not exactly the target demographic for the book, we deeply appreciated Bolz-Weber’s theological integrity, her great story-telling, and her evident compassion for people whom the larger church tends to reject. We spent a few minutes talking about the cussing as something we had to get past, and then shared passages in this “theological memoir” that we found moving and inspiring. Bolz-Weber’s sermons are available online, and she has a new book out called Accidental Saints: Finding God in All the Wrong People. A must-read for Wendell Berry fans and anyone interested in organic agriculture, the politics of food production, or healthy eating. Ray, a Georgia native and still farming the land there, is best know as a memoirist (Ecology of a Cracker Childhood), but her latest projects concern local agriculture and activism. This book explores the beauty and necessity of seed-saving in an economy dominated by industrial agriculture. Combining extensive research with a memoirist’s penchant for good stories and odd digressions, Ray makes the case for seed diversity and the importance of small farmers and gardeners. Specific instructions included. Of course there’s so much more! I haven’t even gotten to Dani Shapiro or Chris Hoke or Jaweed Kalim or, goodness, all the others. And our own James Schaap is always a featured author, too! So I hope you will consider joining us in April, and if that isn’t possible for you, the Festival website is still there to help you fill up your nightstand and bookshelves and imagination with new discoveries.